Let’s all watch Legends and come up with terrible spy names! Here’s what’s up in the world of TV for Wednesday, August 13. All times are Eastern. 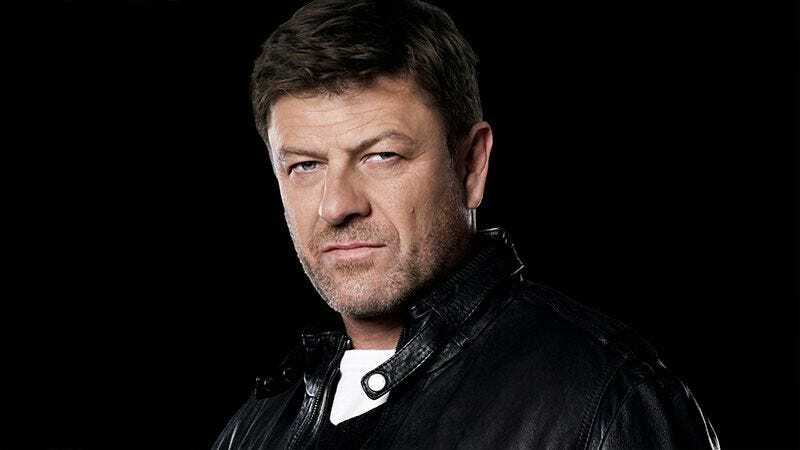 Legends (TNT, 9 p.m.): In Legends, Sean Bean plays a deep undercover FBI agent who specializes in transforming himself into a different person with every single mission. If it sounds like it’s Human Target but with the opportunity for more jokes about Sean Bean dying in “everything,” that’s because it probably is. But that’s not what makes the show a top pick. The fact that Ali Larter plays a character named Crystal Quest is. Crystal. Quest. Hopefully she follows Sean Bean’s lead and transforms herself into a new character every week. Week one: Crystal Quest. Week two: Destiny Wondergem. Week three: Something else with a stone in the name, just like on The Famous Jett Jackson. So You Think You Can Dance (FOX, 8 p.m.): The Top Eight perform, and we all pretend like we don’t miss tWtich. But we do. We do miss tWitch. BAPs (Lifetime, 10 p.m.): BAPs Halle Berry Watch Update #2. Halle Berry still has nothing to do with Lifetime’s BAPs, which is probably why tonight’s episode is titled “Sip And See Disaster.” The world drinks wines and mourns. Wilfred (FXX, 10 p.m.): It’s the two-episode series finale, and it would have been the Top Pick, but no one on Wilfred is named Crystal Quest. Sorry, Rowan Kaiser. One might assume that a Western starring Bruce Campbell would last at least six seasons before branching out into the expected movie and chin-based toy franchise it would so richly deserve. But that assumption would actually be completely wrong. Zack Handlen is here to tell us all why with the latest edition of One Season Wonders, Weirdos, And Wannabes, all about a show that everyone should know and love (or at least just know): The Adventures Of Brisco County, Jr.
Wild Kratts (PBS, 5:30 p.m.): “Two Wild Kratts kids send an SOS after praying mantis eggs hatch and fill their room with 200 babies.” First of all: If this is children’s programming, this is absolutely horrifying and thousands of kids around the world are going to grow up scarred for life. Second of all: Did anyone else know this show exists? Third of all: If so, why have you been hiding this from the rest of us? Fourth of all: This show needs to have regular A.V. Club coverage. Fast & Furious: Tokyo Drift (AMC, 6:30 p.m.): Some might argue that the Fast & Furious film that features Kid Rock’s “Bawitdaba” and Bow Wow in an acting role shouldn’t be allowed anywhere near a network that is technically supposed to be a home to American movie classics. They would not be the losers of said argument. But for the sake of completion, Tokyo Drift is a necessary evil. It does take place in the future, after all. Suits (USA, 9 p.m.): This week’s episode includes a deposition where “no topic is off limits, bringing professional and personal secrets to light.” Since this is essentially the definition of a deposition, this is even more reason to believe that Suits episode descriptions are actually a secret code. The plot thickens. Top Chef: Duels (Bravo, 10 p.m.): Rumor has it this is the episode where the top chefs finally take on old school duel rules instead of culinary duel rules. You didn’t hear that from me though. Taxi Brooklyn (NBC, 10 p.m.): “Leo’s convinced it’s a Zombie outbreak, but Caitlyn uncovers a terrorist plot.” Clearly, Taxi Brooklyn also needs to be put into the regular coverage rotation. 30 Rock: Erik Adams is now writing about the first season of 30 Rock, and somehow his review on the pilot is not a 1,000 word discussion on how the theme song to “Pam The Overly-Confident Morbidly Obese Woman” is too catchy for its own good. Different strokes.